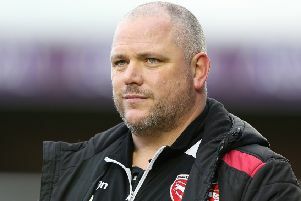 Morecambe travel to Swindon Town tomorrow with manager Jim Bentley hoping his players continue their recent good form in front of goal. The Shrimps make the journey on the back of last Saturday’s goalless draw at Notts County, which kept them nine points above the League Two relegation places. That blank was a relatively rare event for the Shrimps, who have only failed to score twice in their last 10 outings. The arrivals of Richie Bennett and Aaron Collins have given Morecambe impetus in the injury-enforced absences of A-Jay Leitch-Smith and Vadaine Oliver, as well as the departure of Jason Oswell. Bentley said: “At the start of the season, with Vadaine Oliver, Liam Mandeville and A-Jay Leitch-Smith, I thought we were looking a threat. “I think we’ve played some fantastic football this year. 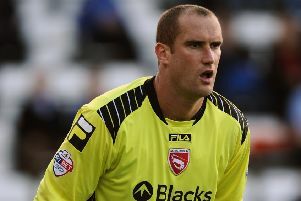 “Go back to Oldham at home – their man of the match was the keeper. With Oliver and Leitch-Smith out injured and Oswell sold to Wrexham, Bentley brought in Bennett and Collins on deals until the end of the season. That has been rewarded by nine goals from the duo, helping Morecambe to four wins and a draw in their last seven outings. “The personnel has changed because of the injury record,” Bentley said. “Recruitment has been good – Richie Bennett and Aaron Collins have been superb additions. “Suddenly the injuries are starting to clear up, there is light at the end of the tunnel.